In 17th century Holland, the Keeshond first gained favour as a guard and companion dog. The Keeshond proved to be competent and gained employment as a guard aboard small crafts and barges that navigated the Rhine River. Soon, the breed was well known as a Barge Dog. By a twist if fate, the Keeshond found himself embroiled in the political unrest that preceded the French Revolution. Cornelius “Kees” de Gyselaer, was the leader of the Dutch patriot faction. De Gyselaer selected the affectionate Barge Dog as his pet and soon, the Barge was his constant companion. So visible was this mid-sized dog that the yet to be renamed Barge Dog was featured in political cartoons of the day. The name <em>Keeshond</em> was adopted and this breed’s image became a symbol for the people in the revolution. But fame is fleeting and as the Patriots lost footing, so did the Keeshond. Many Keeshonden were disposed of to disassociate from the losing party and the Keeshond was forced to retreat to his barging duties. But, the vessels in the Rhine were bigger and the Keeshond was now deemed ineffectual. Now, neither use nor ornament, the Keeshonden numbers plummeted. Luckily, some boatmen were nostalgic about the Keeshond and efforts were made to quietly re-establish their numbers. The cause was invigorated in 1920 by Baroness van Hardenbrock who convinced her compatriots to champion the cause. By 1930, the Keeshond was recognized by the American Kennel Club and today, the Keeshond is the beloved national dog of Holland. The Keeshond is a square-proportioned dog with a thick, wooly coat. The outer coat is straight and harsh and the undercoat is dense and downy. 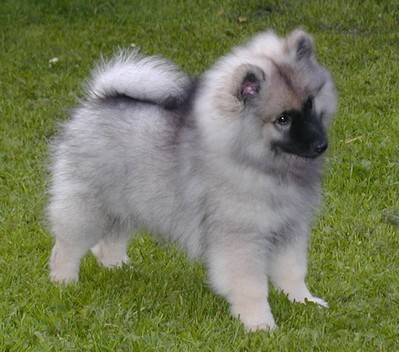 The Keeshond has a very thick mane, and heavy feathering on the front legs. 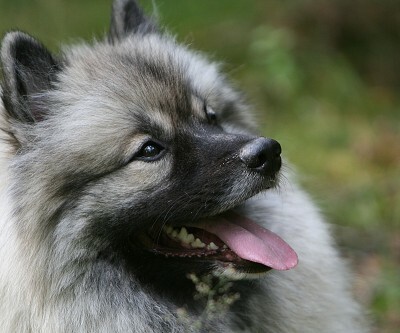 The fur around the Keeshond’s almond shaped eyes has a distinctive pattern – that of “spectacles”. His ears are triangular and fur-covered. The Keeshond’s tail is curled tightly over the back and carried high. The Keeshond is an attentive watchdog, but a pathetic protector. He will always announce visitors, but then will be delighted to see them, no matter who they are. Keeshonden are lively and playful and have much patience with children. Generally, the Keeshond is socially adaptable and will happily go along with whatever is on offer. He does enjoy plenty of vigorous yard games, but the Keeshond will enjoy evenings of leisure as well. The Keeshond is Mr Moderation. He loves moderate exercise and adventure, but he will not run you ragged. Potential owners should expect daily walks of about five kilometres with some time additional yard play. But really, whatever his owner wants, the Keeshond is willing to do. Thee is one caveat. 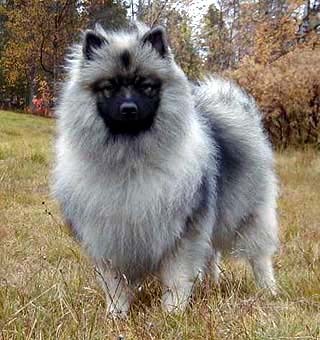 The Keeshond is coated for northern climates and is therefore intolerant of heat. When exercising your Keeshond on hot summer days, either wait for the cool of early mornings or evenings. In winter, fear not. The Keeshond is well adaptable to even the most frigid days. Snow may stick to his underside and be somewhat uncomfortable (not to mention the mess), but he will relish this outdoor play. Grooming your Keeshond is far less arduous in winter than in it is spring when he blows his coat. This being said, there will still be quite a bit of hair shed throughout the year. To keep control of this, brush your Keeshond with a firm brush twice weekly and daily during the spring. The mane and hind quarters of very furry dogs need special attention and the Keeshond is no exception. To minimize doggie order and to keep your Keeshond at his fluffy best, do spot clean and brush his chest area regularly. And, the longish fur on his behind can harbour unpleasantness, so take a moment to investigate this region and act accordingly. The Keeshond is a quick study and keen to please. The inexperienced Keeshond owner may view this as the perfect puppy pupil, but all is not a it seems. The Keeshond needs a highly structured learning environment. If the Keeshond is treated harshly or weakly, this breed will quickly lose interest. Poorly trained Keeshonden are notorious for inventing their own entertainment, much to the chagrin of their long-suffering owners. Keeshonden are known to chew and dig with alarming proficiency and will do so if left to their own devices for longer than they deem appropriate. So, only select this breed if your family is fully prepared to spend much time with your Keeshond. Some common health concerns for your Keeshond include; CHD, epilepsy, skin problems and patellar luxation. Also of note: There are no common, major health concerns with the Keeshond. He is a quite healthy breed. The Keeshond is an brilliant family pet. 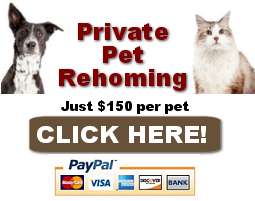 He is moderate in nearly every sense – exercise, grooming, temperament and energy. The exception to this moderation is the Keeshond’s supreme loyalty and affection for his family. The Keeshond is a dog that loves being in the thick of things amongst all who share his life. This breed is well suited to any active family with children so long as there is a fenced yard and lots of love. 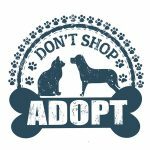 When purchasing your Keeshond, resist the urge to purchase a dog inexpensively from a pet store or from an advertisement in a newspaper. You may unwittingly buy a mal-adjusted, sick, puppy mill dog. This is to be avoided at all costs.